Great news travelers! Here are airline promo tickets on sale from now until July 21, 2017 for local and international trips! 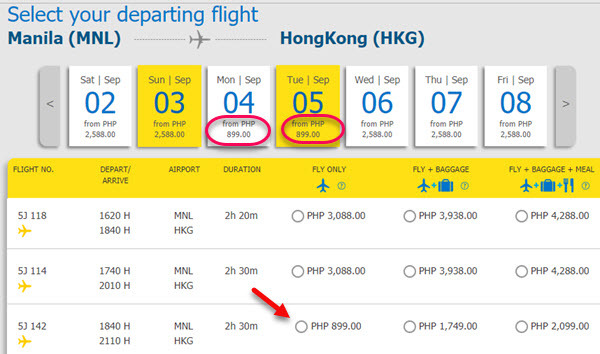 The Cebu Pacific promo fare tickets are good for August to October trips. Better check this seat sale if you want to avail cheap tickets for the next 3 months. From Cebu, travel to Cotabato or Ormoc for as low as P599. Avail promo fares as low as P799, P999 and other promo deals to other domestic destinations. The Hong Kong fever is still on! 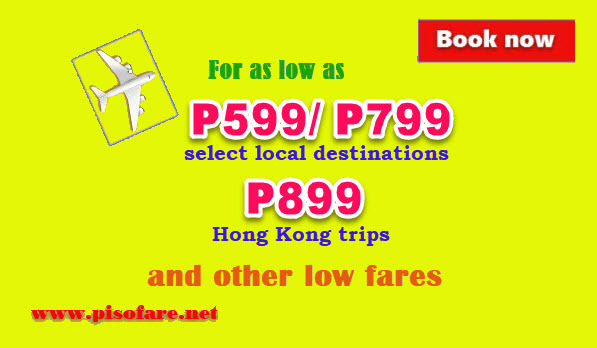 Grab tickets as low as P899 for trips to Hong Kong. Visit Taipei, Brunei or Kota Kinabalu for only P1,799. Read below the complete list of destinations on promo and more affordable fares to other Asian countries, Dubai and Sydney. We went online to check the veracity of the promo. Shared below are Cebu Pacific promo fares we got via online booking. Cebu Pacific sale tickets are valid for one-way trip. Round trip promo fares may be availed depending on the availability of cheap tickets for your routes. Inclusion in the fare are the base fare, Web Admin Fee, taxes and fees and 7 kilos hand carry bag. Get the Cebu Pacific promo tickets by booking online at www.cebupacificair.com, or buy the affordable fares at Cebu Pacific sales offices, ticket and booking outlets and travel agencies. Here is a GUIDE IN BOOKING ONLINE CEBU PACIFIC PROMO TICKETS. Book the Cebu Pacific promo fares now! Promo Code is not needed when booking. Sale seats are limited and may not be available on all flights. Book or buy the low fares fast! For more Cebu Pacific, Philippine Airlines, Air Asia and other airlines promo fares, PISO FAREs, as well as travel updates, LIKE and FOLLOW PISO FARE TICKET in Facebook!